I was recently able to attend an excellent continuing education class, The Diaphragm Pelvic Floor Piston for Adult Populations with Julie Wiebe, PT. 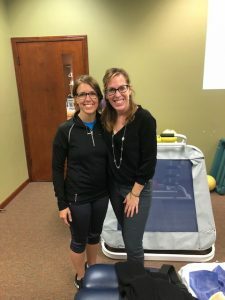 Julie is a physical therapist in California whom I have heard speak before at national conferences, and her instruction has really impacted me and my approach to treating patients. So when I had the opportunity to attend her course, I was really excited! For years now, I have treated pelvic floor dysfunction as well as orthopedics. Effectively treating pelvic floor dysfunction is so much more than doing Kegels. This class really presented a new, research-based way to strengthen and train the pelvic floor, which is so interesting and exciting to me! Think of the pelvis as the foundation of the house. If your foundation gets a crack in it, repairing that crack is necessary to avoid future issues down the road. If our pelvis is what provides our body with a support and stability core system from which we are able to move our arms and legs then moving our extremities on an unstable core can lead to injuries anywhere further out on the chain. We need to stop thinking of the pelvic floor merely as a muscle group that does Kegels and shuts off the flow of urine. The pelvic floor is one of four key components that make up our core (here is where the “piston” part comes in). Along with the pelvic floor, the transverse abdominis (deep ab muscle), multifidis (deep back muscle) and the respiratory diaphragm make up our core. All four of these are “gears” that need to work in sync together in order for our core to support us the way it should. When one gear stops, it effects the entire system. So what does this mean for me and for our patients? While pelvic floor function is not a new concept for any of us here at Creative, this class helped to sharpen my observation skills when evaluating a patient’s posture and alignment to be able to tell if the piston is working. It gave me some great tools to be able to communicate all of these ideas better to my patients and many new exercises to try to really activate these deep muscles. Research is showing that the best way to “turn on” the pelvic floor muscles is through breath work and the diaphragm. I am so excited to introduce these new techniques into my patients’ treatment and to share what I’ve learned with my colleagues here at Creative, as well. Although we aren’t all trained as pelvic floor specialists, we all excel at rehabbing the core and understanding the importance of the pelvic floor. 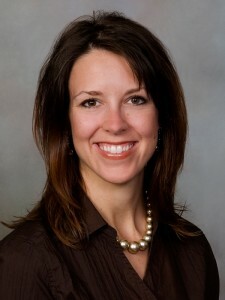 This entry was posted in Women's Health, Men's Health, Physical Therapy, incontinence and tagged chronic pain, pelvic floor, pelvic floor physical therapy, incontinence, physical therapy, women's health, men's health, abdominis, mutifidis, diaphragm, piston, corestrength, womenshealth, Jamie Justice PT WCS, sexual dysfunction, low back pain, functional movement. Bookmark the permalink.